Jet Boil stove (with pot, cup built in) This fared well – but I found it slightly annoying you cannot simmer with this stove – it’s either boil or off. Also the starter broke, but I had matches. Camelback & 2 bottles – total water capacity = 4.5 L – my bottles got all moldy because I put juice in them and did not rinse them enough – be warned. I sent home the camelback hose but kept the reservoir and used it. I ate a lot of oatmeal with trail mix thrown in (yum!) and Mr. Noodles. I also like Shot Blocks and Sour Jujubes for quick energy, and Pro bars are delicious. 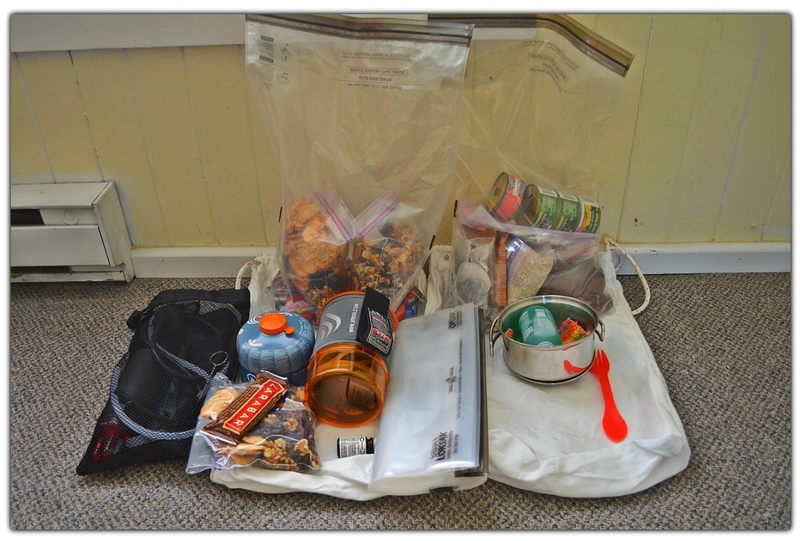 I carried way too much food (not listed, but for example, you don’t need 4 cans of tuna), especially since we ate out most of the time – if you are not cooking daily, just keep emergency food. Tent (Hubba Hubba, 2person) – great tent! 2 spare tubes – went through about… 7? Duct tape – Alex used it all! 3 sports bras – kept losing them and had to buy more – be careful drying on your bike! Flip flops – broke, replaced a lot later – next time would just bring one pair closed shoes (which you can cycle in, but I wouldn’t clip-in), and one pair of hiking sandals which I can also bike in. 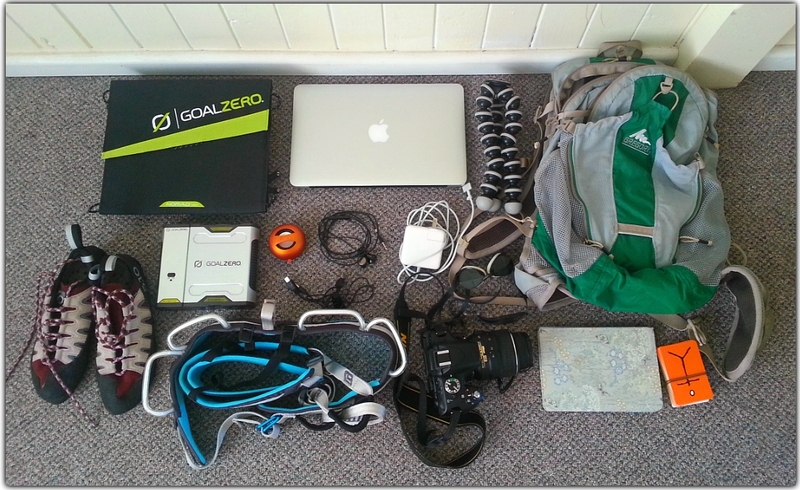 I think that sums up my gear – but I bet I forgot some stuff! I am sure of it actually. Any questions – contact me! That adds up to one big load!! New tire on the back! I had to laugh about the duct tape. I was over at Alex’s a few weeks ago and he repaired my old Ziploc bag (that I carried some knitting in) with a strip or two of duct tape so the needles wouldn’t poke through. Thanks for the list -we are slowly picking up a thing or two , here and there for some short trips in the new year. My name is Mary Fehr and I’m biking across Canada summer of 2015! 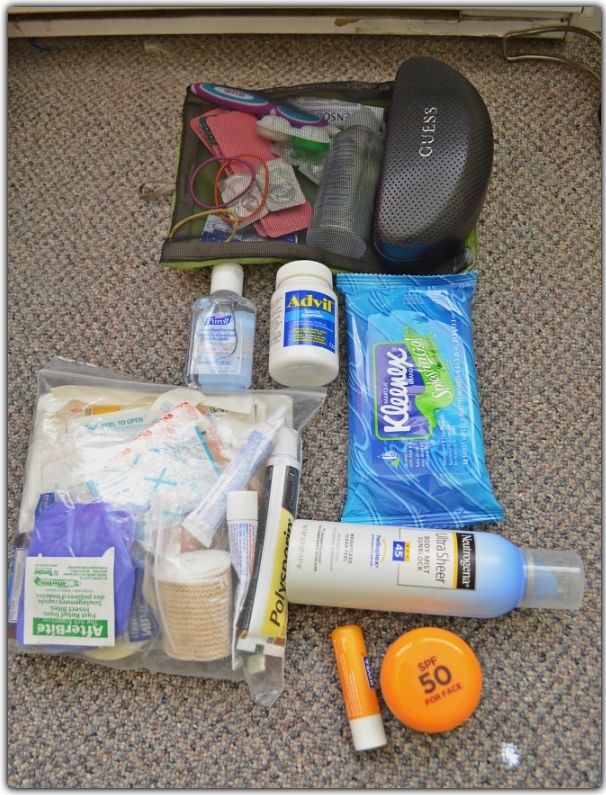 Thank you so much for writing out your packing list like this- SO HELPFUL! I am wondering though, do you know how much it all weighed, I’m starting to look at panniers and what will be possible for my bike to hold! If you have the time I would appreciate any advice you have to give! My email is fehr.maryc@gmail.com.